Mainly a bit of escapism from whatever stresses I have going on while being incredibly productive really boosting my mood. Bear with me on this…at first you may think ‘yeah in an ideal world’ or ‘if I ever had the time’ but believe me I too am one of those busy working Mums who is out every night taking my daughter to dancing, tuition or doing my voluntary charity work, blogging as well as running my home. And I know there are always many more pressing things that are a priority however, there is a method to my madness! Previously, I’ve only ever had a major sort out a couple of times a year because it has become so out of control that I keep putting it off. My intentions this time is to get to a point where it is not a colossal undertaking because everything is organised well enough that I can put things in the right place from the start! One of the key things is to have a place for everything then you don’t stuff it in a drawer or cupboard with lots of other random things. The first thing I do is get myself a cuppa! It helps me to feel more in control and more optimistic about being less stressed going forward because I will have everything to hand pretty quickly. Finding things I’ve forgotten about (in the past when I’ve brought something and shoved it away in a rush I lose or forget about it) – a lovely feeling, like getting new stuff again! Not feeling that everything is a mess, every corner, every cupboard, drawer, it may not be in view but I know it is there…taunting me, telling me it needs my attention. Feeling inspired as I come across articles I’ve pulled out, ideas I’ve jotted down, coming across things that trigger old memories, like a photo, card from my daughter when she was little, old notes, project ideas I’ve forgotten about, make up I haven’t used for ages, etc. It takes me away from my everyday stresses for a little while, a really good way of mentally detoxing or escaping temporarily. This form of distraction is both productive and rewarding. Giving you a mental break from worrying which I find really helpful and calming. Often this break then gives me a new perspective on problems I’ve been struggling to solve. Stress buster; if I am dealing with some of life’s frustrations I find it helps me to clear those emotions out. Be prepared for the mess! There will be lots of mess as you need to make lots of different piles and spread things around before you start to make progress. View this as a positive mess, a productive mess and remember why you are doing it. The start of my mess! 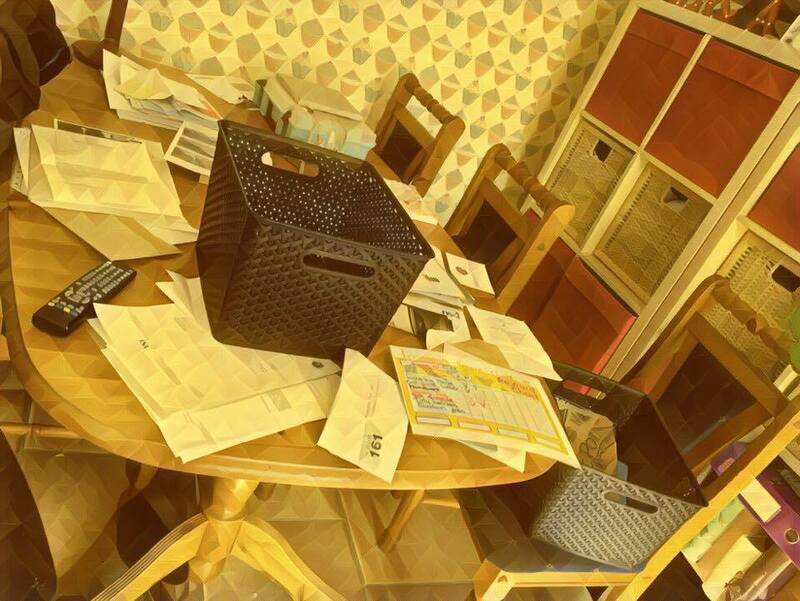 Be prepared; get some tubs, empty files, a plastic carrier bag (for putting recycling paper in to throw away) and some large A4/A3 envelopes (to put documents to shred in). Get the family on board; by this I mean let them know what you are planning and not to move anything or place anything on top of your piles…also to bear with the mess! The piles I usually make; general filing, to shred (goes into envelope), paper to throw (straight into carrier bag which I hang on chair nearby), scrapbook stuff, booklets/magazines to go through, receipts to file, for my household file (where I file bills, warranties, school info, insurance info, registrations, appliance serial no’s and registrations, medical info, etc), not sure pile (to go through when I’ve finished), to check with my husband if he still wants/needs and whatever else is relevant for you. 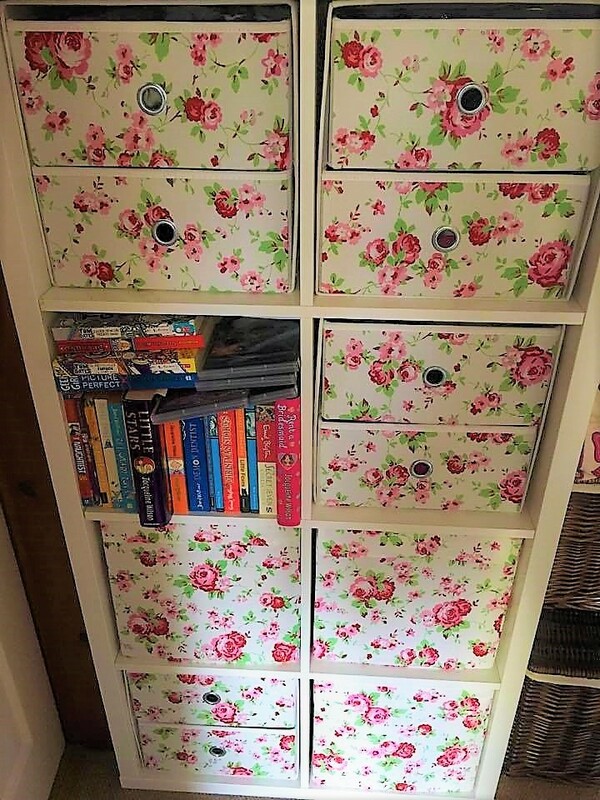 I can recommend the Ikea furniture range, Kallax – in a small house like ours I have found this range so versatile and you can fit a lot of different things in. From papers, craft supplies and household filing to spare cables, beauty electronics and food. We have these in my daughter’s bedroom, on our landing and in our Kitchen Diner. Quite often when I get in from shopping, tired and hungry I put (or if I am honest ‘shove’) what I’ve purchased somewhere, anywhere and then forget where. So now I have a place, which is easy to get to where I will put them from now on. Then I can go straight back to this place later. This idea stemmed from a recent experience with a Mother’s Day gift, I’d put it somewhere out of the way then had to spend a stressful hour looking for it…well no more. A ‘Christmas Drawer’; I now have one of these (actually I borrowed this idea from my Mum) I put anything relating to Christmas in it. For example, random things that I come across after I’ve packed my decorations away in the loft (there is always those odd decorations that have dropped behind something), presents I’ve purchased early, left over cards, labels and stickers so nearer the time I can check if I need to buy any more, craft bits so I can start them before I need to get all the decorations out of the loft. them and add these pics to my drawer too. After spending hours in the past hunting for something that I don’t use very often I have devised a ‘where to find things sheet’. Because I don’t use a particular item very often I can’t always remember where I’ve stored it. I kept making the same mistake…wasting my valuable time searching for things. It would be something like my camera tripod or seasonal items. 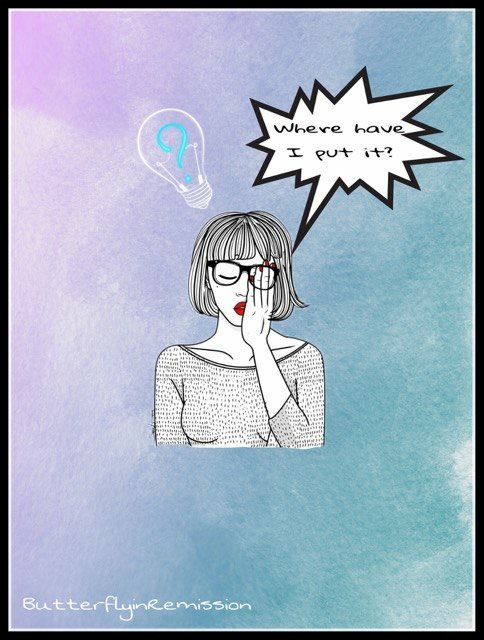 Then I had a light bulb moment, (probably in the middle of the night) and the next day I created it. The sheet goes in my ‘Household file’ which is easy to get to, I even add things that seem insignificant because you never know. I am pleased to report that my sheet has saved me time, no end of times now!! Doing this has given me real boost, I feel like it has been a cleansing and enriching experience. I hope I have inspired you to give it a go and if I can do it…anyone can!! Don’t be too hard on yourself though, this is in no way a ‘smug, my home is super organised, super clean and tidy’ post. I really struggle to keep on top of things at times and if you have a ‘life’ it’s impossible to achieve it all of the time as something has to give but having the basics in place can make a big difference. 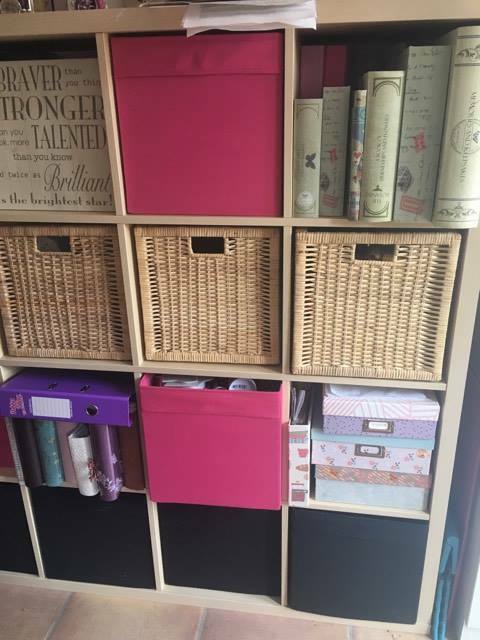 Oh and before you go…I came across this picture recently which certainly made me feel better about my home…when your clutter gets to this stage I would definitely say its time for a clear out! Everyone should read this and follow your example. Wow! Some good ideas here 😀 Thankyou for sharing your tips. We started a Christmas cupboard this year. It was so nice to have one place to put everything when we put all of the decorations away. Neat, tidy and orderly. Come back and let me know! Go for it…it feels great! This will come in handy to help me with one of my 2018 goals of getting rid of stuff I no longer need – thank you! Great…good luck with your goals and please come back to let me know how you’ve got on! This is FAB! Such a useful list. I love a good tidy up. It makes me feel just as you describe, free and less stressed. Maintaining the clean isn’t always easy, but I so love it when I know I’ve cleared out the messy stuff and am ready to move forward with just enough and not too much. I love clearing out! It’s so satisfying.